Golf is a big draw at Madden's on Gull Lake in Minnesota. Photo by Jamie Bartosch/Suburban TravelingMom. 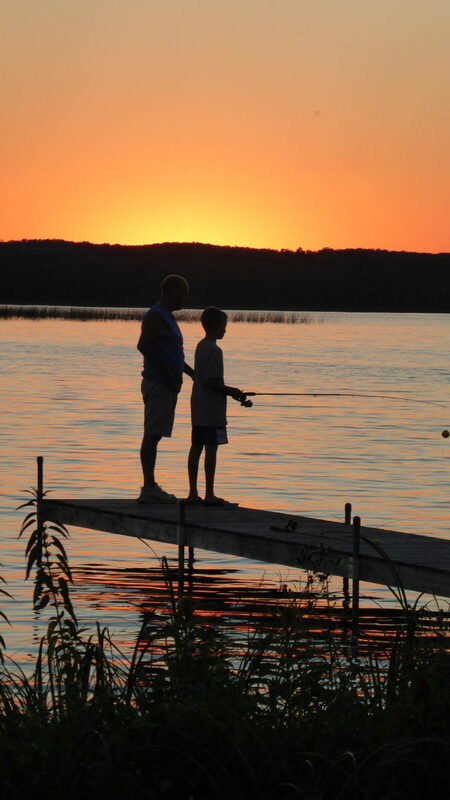 A picturesque lake and PGA-level golf courses bring families to Madden’s on Gull Lake Resort in Brainerd, Minnesota year after year. What we liked best about Madden’s? Its friendly vibe, dreamy beach houses, and wide range of activities both on water and land – everything from shuffleboard and horseback riding to an in-lake trampoline and water skiing. It guarantees quality family time together. It’s because this Brainerd, Minnesota resort has tons of repeat visitors. One family we met had a three-generation family reunion at Madden’s every summer for more than 30 years! That speaks volumes about this charming, leafy, beautifully landscaped, full-service resort, two hours north of the Twin Cities. 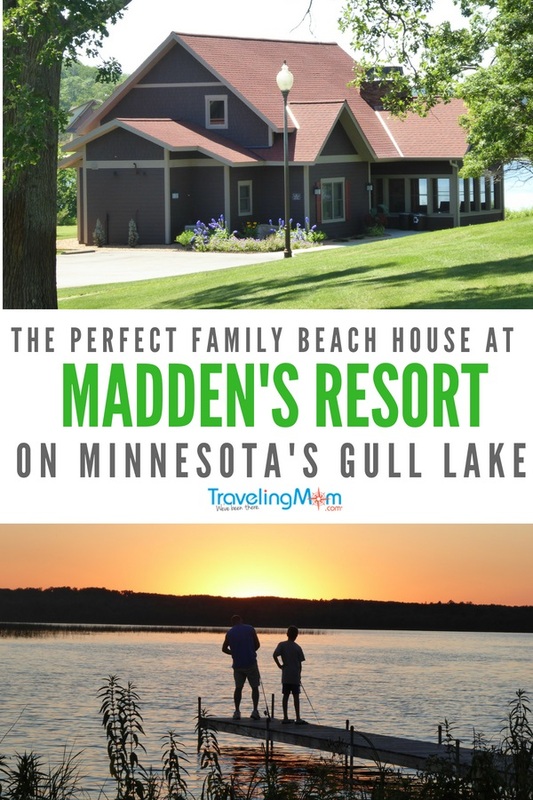 Madden’s on Gull Lake Resort sits on a 1,000-acre peninsula, so everywhere you look, it’s lake, lake, lake. And that’s a good thing. 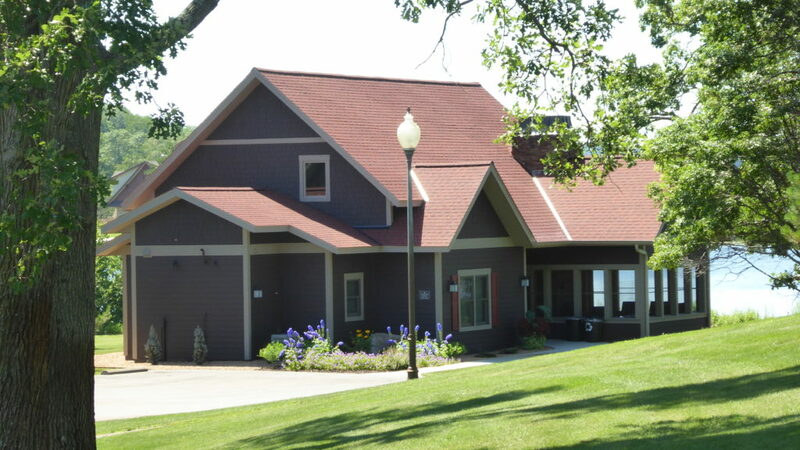 Almost all of the accommodations face the famous Gull Lake as well. 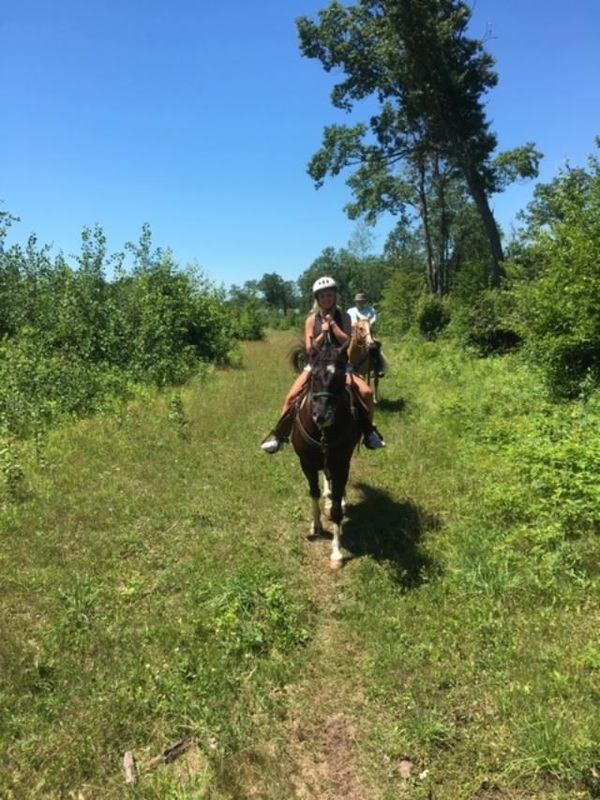 My hosted visit to Madden’s in July 2018, with my husband and 12- and 15-year-old kids, was summer family vacation perfection. We slept in every morning, and during the day, did all sorts of fun activities together, like tennis, golf, kayaking, fishing, paddle boarding, water skiing, horseback riding, or lazily floating on inflatables in the lake. We loved having so many options of what to do each day. In the late afternoon, we’d return to our beach house for happy hour drinks and snacks, then sit with a good book or fish off the pier as the sun went down. We watched stunning sunsets from the sandy beach, and heard nothing but chirping birds as the sky turned orange, then blue, then black. Each night we built a roaring fire in our large stone fire pit, roasted marshmallows, and sat on Adirondack chairs as we talked and laughed. Truly, it was idyllic. The epitome of a Midwestern family summer lake vacation. 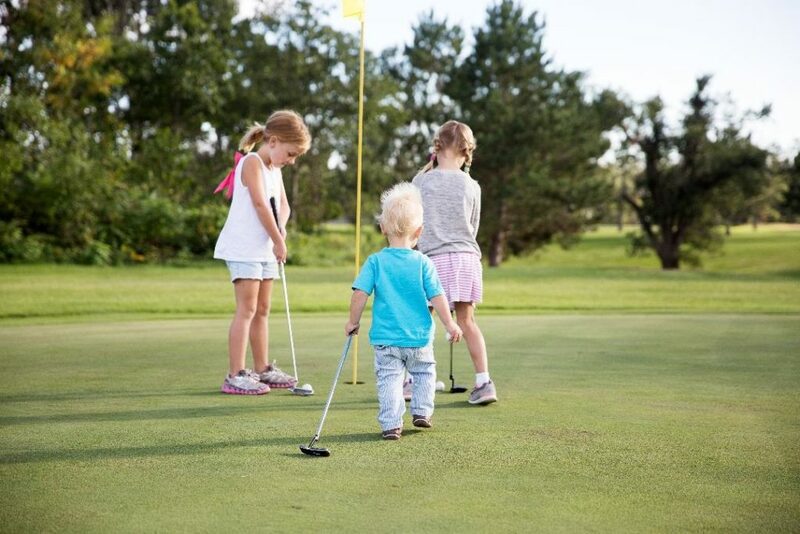 Golf, both for PGA level golfers and kids, is a big draw at Madden’s on Gull Lake Resort in Minnesota. Photo courtesy of Madden’s. Seriously, everything. 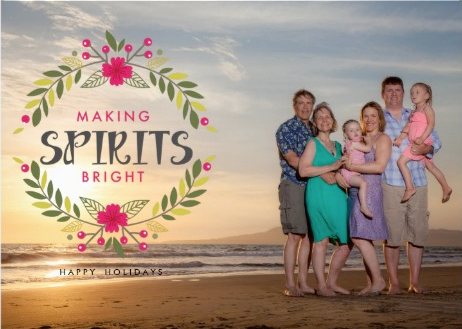 Madden’s is all about families – multi-generational families, families with toddlers or teens, and families vacationing with other families. The resort is spread out yet walkable, so there’s no need to drive anywhere (although a few people rented golf carts to get around). Even when it’s busy, it doesn’t feel that way, except maybe at the evening lines for ice cream and fresh fudge. (Tip: get the peanut butter fudge. It’s oh-my-God good). The beautiful lake and sandy beaches are clean and not-overcrowded. Plus, the shallow water is packed with free toys like the water trampoline, inflatable climber and paddle boards. Their kids program, Adventure Cove Day Camp, doesn’t confine kids to a room – they do fun things outside like birding and “banana taxi” rides in the lake. Free (and good) WiFi works across the resort, and the staff’s warm hospitality makes you feel at home. 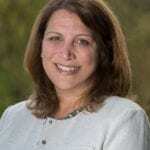 One example: while at dinner one night, the hostess asked if it was our first time at Madden’s, and when we said yes, she told us all about the resort and was so friendly and funny, we wanted to invite her to sit down and have dinner with us. On a stormy night, we took a 10-minute drive into Brainerd and saw a movie at the theater. You can also drive around and explore the Brainerd Lakes area. It’s hard to find any faults with this resort. But if I’m being picky, I would say the outdoor pool is small. But why do you need a giant outdoor pool when you’re surrounded by a lake? Besides, we found a large indoor heated pool, next to the wedding venue hall, which was always empty when we went. 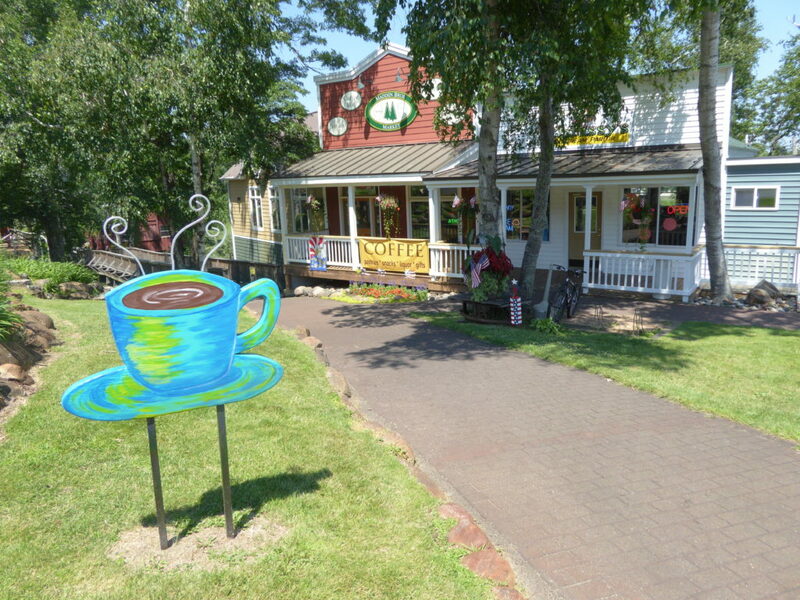 Coffee, fudge, ice cream and souvenirs are among the offerings in the shops at Madden’s on Gull Lake Resort in Minnesota. Madden’s is a century-old, family-run vacation destination. In 2015, a storm wiped out 85 of its guest rooms and damaged its golf course and meeting spaces. The resort used it as an opportunity to rebuild and make many updates, including beautiful new beach houses. It also modernized its marina, golf club, tennis & croquet club, gym, and restaurants. A small shopping area has an an art gallery and places to buy snacks, coffee and ice cream. Madden’s is not a year-round resort; it’s open from early May to October. While summer is peak season, fall is also a lovely time to visit, as they go all-out with fall decorations and activities. Summer lake houses conjure up images of musty cottages and well-worn resort rooms, but that’s not the case at Madden’s. I stayed in a variety of rooms throughout the resort during my stay, and all of them were clean, comfortable, spacious and updated. Our favorite place was the homey-yet-upscale, multi-bedroom beach houses, ideal for families or groups. The modern cabin decor included large windows that faced the lake for sunset views. Comfy beds, spacious and bright rooms, a full kitchen, indoor and outdoor fireplaces, and a screened in porch made us never want to leave! The house also had a private pier and more than 100 feet of lakefront and sandy beach. Gull Lake and golf courses are Madden’s biggest draw, and for good reason. It’s an excellent spot for boating, fishing and water sports, with a variety of activities you can do on the water. The marina rents out boats, fishing poles, and just about anything else you’d need for a day on the lake. If you’re not confident with your boat driving, guides can be hired for cruising, fishing, water skiing or tubing. 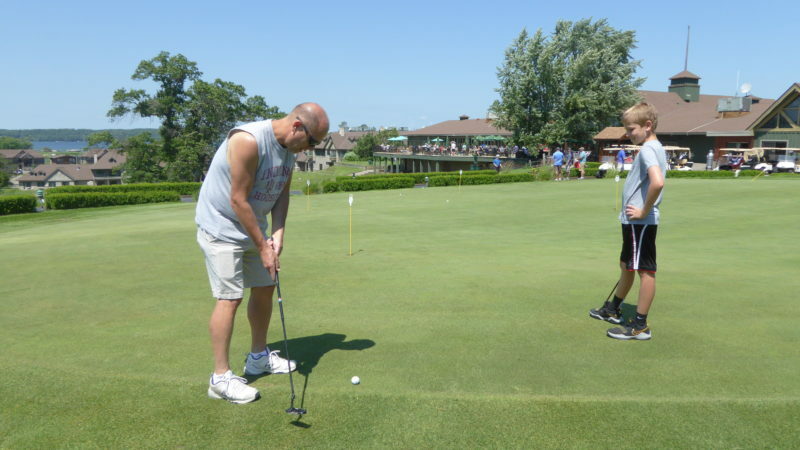 Families flock to the scenic, PGA-level golf courses, (I saw a few grandfather-father-son trios teeing off). Golf lessons from PGA pros are available. My husband and 13-year-old son, who are just average golfers, easily secured a tee time and loved the course. They also entered the afternoon putting contest; my husband proudly won a pro shop gift card. While the boys golfed, my daughter and I went horseback riding through a lovely nearby prairie on well-behaved horses. Our family also had a blast playing tennis, basketball, lawn bowling and shuffleboard (that game always seems to bring out our competitive side!). While I didn’t visit Madden’s gym or spa, there’s a nice menu of spa services. Eight restaurants are spread out around the resort, from a carryout pizza place to the wonderful, new fine dining restaurant, Mission Point. We had good meals everywhere (and to save money, we bought some groceries in Brainerd and made some in-room meals). Our favorite restaurant, by far, was Mission Point. 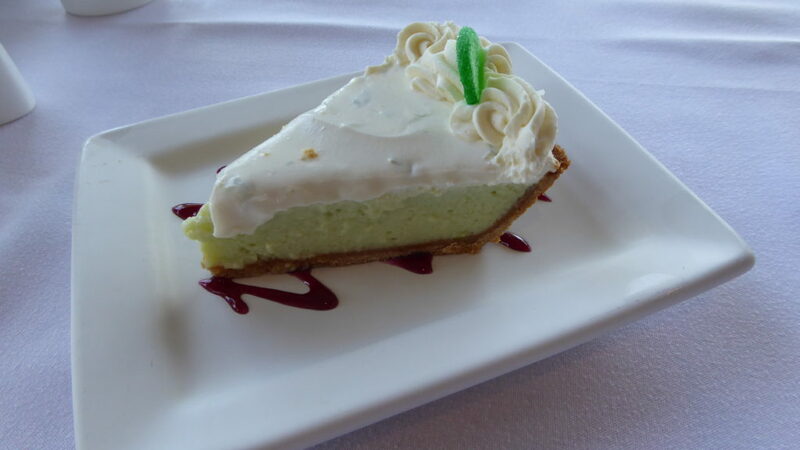 While a bit of a splurge, it was worth it for the beautifully presented, fresh food – things like warm cheddar biscuits, nice cuts of steaks, Caprese salads and Minnesota rainbow trout – served by friendly, attentive staff. The on-property bakery made everything from scratch, including rye rolls, dessert tarts, and a key lime pie that practically had me licking the plate. Of course, there were beautiful lake views in the circular-shaped room. After dinner, you could wander outside and play lawn games or sit by a lakeside bonfire. 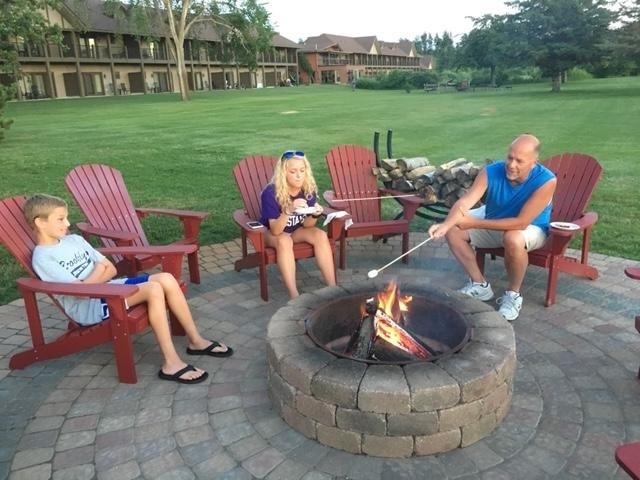 For reviews of other Midwest resorts, including Honey Creek Resort in Iowa, and Boyne Mountain Resort in Michigan, search Midwest destinations at TravelingMom.com.